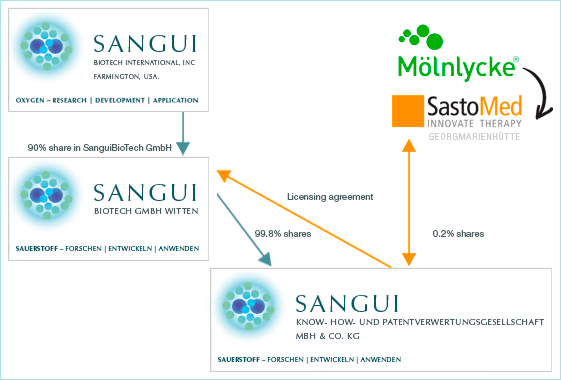 Sangui BioTech International, Inc. ("SGBI") is a holding company the shares of which are being traded on the OTCQB marketplace and the OTC markets of the Berlin and Hamburg-Hannover stock exchanges. Its purpose is to provide financing and access to the capital markets for the enterprises of the Sangui group. SGBI has been a reporting company since 2000 and is current in its filings with the SEC. "Motivations and goals following the acquisition of SastoMed GmbH by the Mölnlycke Group"